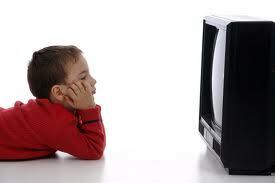 I have practiced limiting my kids TV times to only during the weekends. This rule includes palying PSP or nintendo. They only open the computer for assignments but never for games. So they resort to board games like scrabble, chess, Game of the generals and Mastermind Game. My eldest also writes his own ” book” about Clyde and Clod and he is now on his third series on these two characters. This aside from finishing 3 ” do it your own” Diary of the Wimpy Kid book. The two girls obviously followed. Kids therefore can have other fun stuff to do and use their brains to think instead of a one sided affair with TV’s. On occasions I allow them to play the Wii provided they sweat. I dont bring them to my daily run this past few days because of the dengue scare especially I run aroung 5:30PM. My wife also bought them Hullahoop where the kids except the youngest can now do the Hullahoop thing up to 400 counts…imagine the sweat! My rule had basis after all….now comes a study published in Pediatrics linking TV time to Psych problems and peer relationship problems. Objective: We hypothesized that greater screen use would be associated with greater psychological difficulties and that children with high levels of screen entertainment use and low levels of physical activity would have the most-negative psychological profiles. Methods: Participants were 1013 children (age, mean ± SD: 10.95 ± 0.41 years), who self-reported average daily television hours and computer use and completed the Strengths and Difficulties Questionnaire. Sedentary time (minutes per day with <100 cpm) and moderate/vigorous physical activity (MVPA) (minutes with 2000 cpm) were measured by using accelerometers. Multivariate regression models examined the association between television viewing, computer use, sedentary time, and Strengths and Difficulties Questionnaire scores, with adjustment for MVPA, age, gender, level of deprivation, and pubertal status. Results: Greater television and computer use were related to higher psychological difficulty scores after adjustment for MVPA, sedentary time, and confounders. However, sedentary time was inversely related to psychological difficulties after adjustment. Children who spent >2 hours per day watching television or using a computer were at increased risk of high levels of psychological difficulties (television, odds ratio [OR]: 1.61 [95% confidence interval [CI]: 1.20–2.15]; computer, OR: 1.59 [95% CI: 1.32–1.91]), and this risk increased if the children also failed to meet physical activity guidelines (television, OR: 1.70 [95% CI: 1.09–2.61]; computer, OR: 1.81 [95% CI: 1.02–3.20]). Both television viewing and computer use are important independent targets for intervention for optimal well-being for children, irrespective of levels of MVPA or overall sedentary time. In short, allowing your kids to watch TV for more than two hours a day will result in them a 61% risk of having an increased hyperactivity and emotional problems… PLUS difficulty in concentration and conduct problems which can be an issue with poor grades in school and peer problems with friends and classmates. Now I see my kids grades getting better without the TV and more attention span. I dont have to pressure them to read or study! Plus the bonding time with them is better and great interaction with board games and fun! Guys.. Discpline really works. Just adhere to what you think is best for the kids…and once the rule becomes a habit…everything flows smoothly!